– First ever Capmsite in Tiraspol properly set-up to host international travelers. My name is Dmitri Gavrilov. I was born in 1983 in Tiraspol city in not very typical Soviet Russian family. My Dad was a professional Mountaineering Instructor and founder of the first Soviet Union Pen Pal friends club. My Mam among other achievements was one of the few female mountaineers who climbed the Pik Kommunizma mount and was participating in Polar Circle expeditions. Both of them are now pensioners, living in Tiraspol but still on the road every year during spring, summer and fall. Some might called this blog a tale of “a Transnistrian is deciding with whom to fall in love Russia, Moldova, EU or Ukraine”, or People with lost identity are trying to find their Russian future in the middle of European land” – actually, any description is pretty accurate. You will find stories of ordinary people and interesting places of this East European less discovered region. Here you’ll find musings on life in Transnistria and Moldova, how to learn Russian and even how to visit a hospital, get a job, start your business. I promise you’ll find not an ounce of politics, or religion well apart from the odd rant or two (Freshly build Space Сosmodrome in village Vladimirovka, cough cough:-). 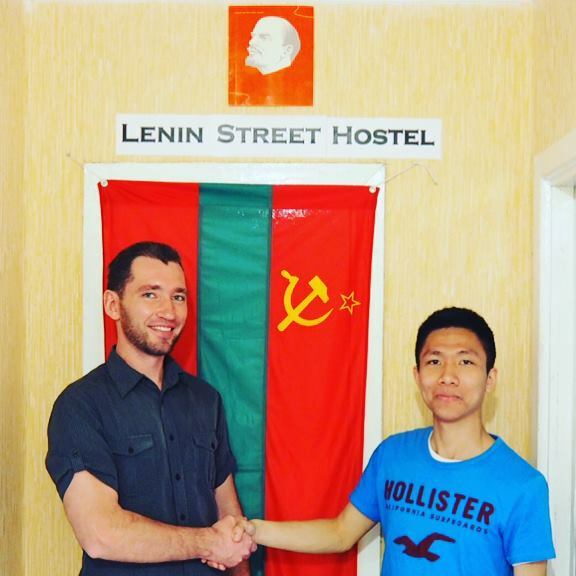 Second of all you can BOOK YOUR HOSTEL ACCOMODATION in Tiraspol and designe YOUR SPECIAL TOURS while visiting Transnistria and Moldova. 20% off all income after taxes I spend on buying staff for people in need. – Orphan children, homeless people, pensioners, drugs and alcohol addicts. Most of the time all they need is simple food, cloths and washing materials, to fix their legal documents (passport), etc. At last, because I love traveling I will be sharing my stories with photos from many places apart of promising former MSSR ( Moldavian Soviet Socialist Republic ). If you like my blog please like, subscribe and share on Facebook, Youtube!